How do you perfect potatoes? Last week I was buzzing along the highway when I saw this billboard: Only the billboard didn’t have a question mark. I added my own cynical punctuation;). 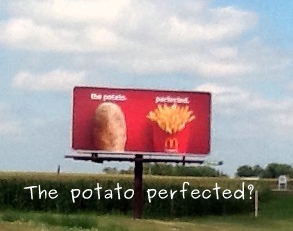 Ad people somewhere decided to make a bold statement about our obsession with french fries. They’re hoping we’ll say, “YES!” And drive right on into the drive-thru lane at the next golden arches we see. Even before seeing this sign, I spent many years craving and hunting down McDonald’s french fries. I can remember that when I worked at a Wendy’s in high school, I would go to McDonald’s for the fries. Something inside me must be changing because now when I see a sign like this I ponder…what is the best way to prepare those potatoes we picked up at the farmers market over the weekend? We asked that question this week when deciding what to offer for our Farmerchef special at our restaurant. We whipped up a simple potato salad. I have to be honest, I felt a bit bummed when people chose fries instead of a freshly made potato salad with just picked green onions from the garden. 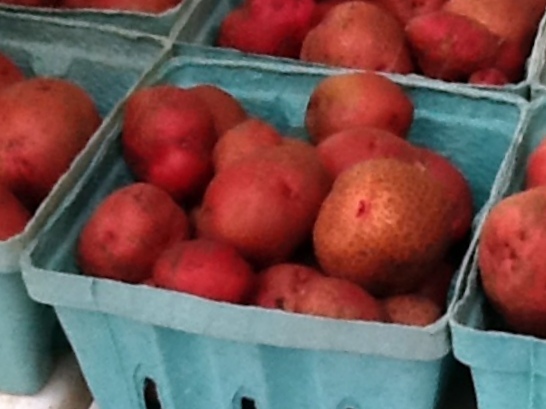 Here’s the recipe we created to perfect our new red potatoes. Wash new potatoes and boil until soft and a fork can pierce them. Drain and chill. Boil eggs until hard and peel. Mash yolk to add to the dressing ingredients: mayo, relish, mustard, scallions, celery seed, salt, pepper and sugar. Dice whites and add to the diced chilled potatoes. How do you perfect your potatoes? WAY better way to prepare potatoes than mc’donalds’ way! not to mention their way involved GMO most likely, yours?! yours is the better, more ethical, save the world kind of way ;) and it looks SO YUMMY!!!!! 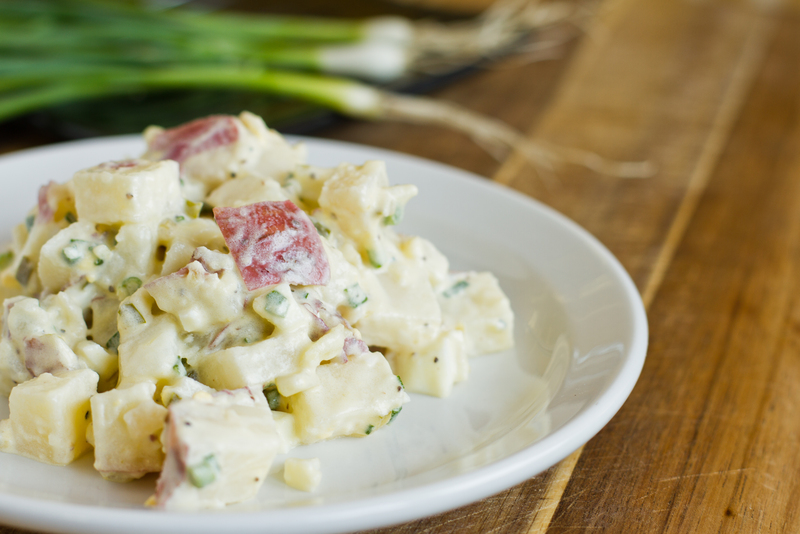 thanks for sharing, i have been wanting to try a potato salad recipe!